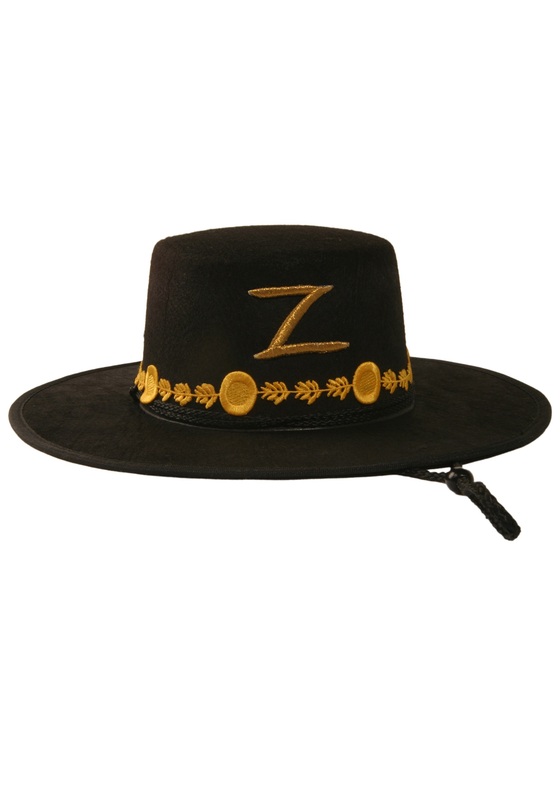 Get the look of the Spanish Fox with this Senor Zorro hat! 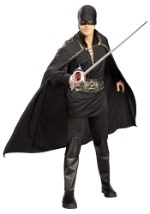 The black hat is made of a felt-like material and features a black string that can be tightened under the chin. Gold embellishment decorates the base of the hat and a gold "Z" embroidered patch adorns the front. 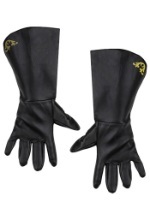 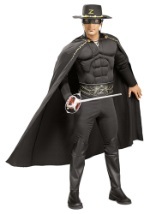 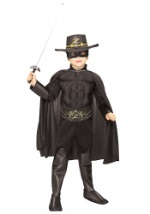 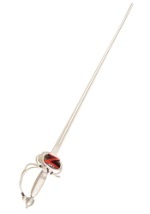 Tops off our men or women's Zorro Halloween costumes!